A couple years ago I was broke and just decided to walk away from my startup. In 2012. 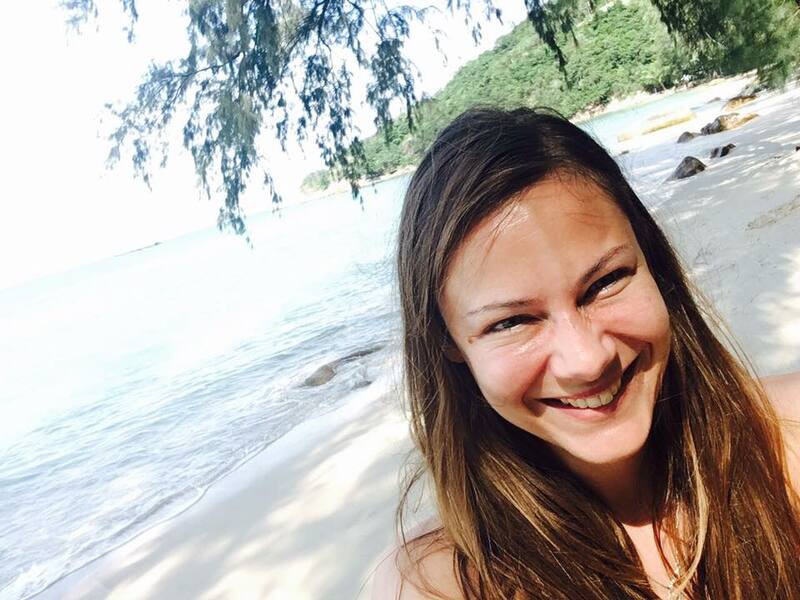 I was just a yoga teacher and a video editor from Zagreb, Croatia. I had no idea about online business or how it all works, but I knew I wanted to change something my life. I wanted to have my own business, be free and travel the world. I wanted to play the game of life under my own terms. So, in that same year I bought my first online course. 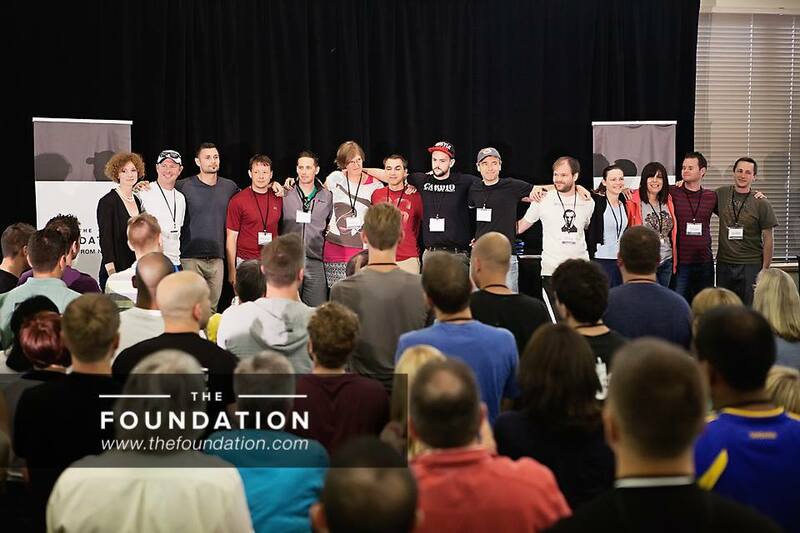 It was called "The Foundation" and it taught people how to start their businesses from nothing - which was funny, because The Foundation cost was $800 per month, and I only had $800 of savings at the time. That was all the money I had in the world. But, I decided to enrol, even though I was secretly hoping that "The Foundation" wouldn't accept people from Europe because I was scared to dive into the unknown. I kinda hoped they would say no, but that didn't happen. Fortunately for me, they did and everything in my life changed from that day. 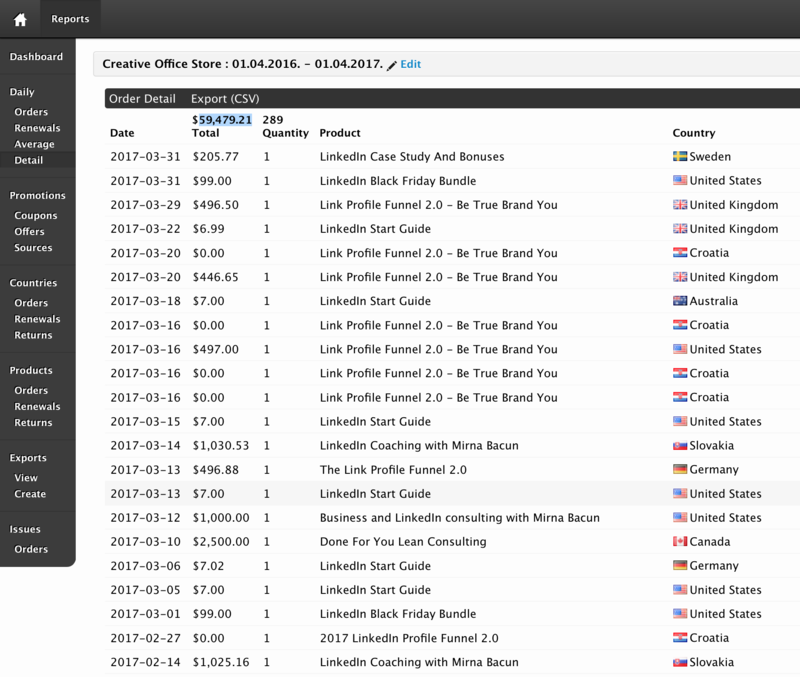 I spent the whole 2012. and 2013. building my nutrition software business, even though I had NO idea about software, using what I learned in the Foundation. 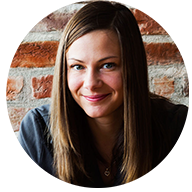 It was a struggle to start a business from Croatia, because we didn't even have PayPal at the time - but I was persistent and came up with a software solution for nutritionists that I pre-sold before we even had a single line of code developed. Since this isn't a easy thing to do, this caught an eye of some European investors that decided to invest in my new company - and that's how "Greenpie" was born. In the meantime, I became a coach for the Foundation, teaching people how to start their businesses from nothing. Here I am as one of the coaches, forth from the right, on a Foundation event in June 2014. 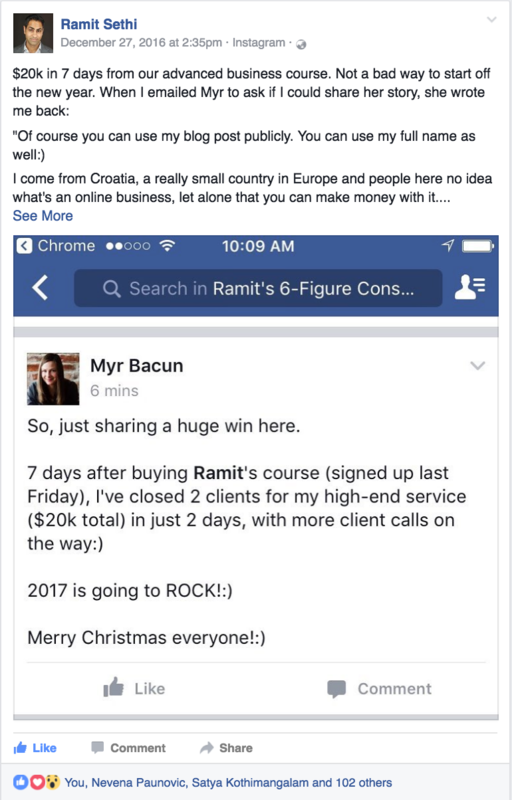 On the outside it seemed I have it all - I was a coach at this cool online program, I had investors in the company, one of the most perspective European startups - and I was working remotely. But it was basically all just a show. The truth was - I was miserable, in panic, working 13 -14 hour a day, and in the next 2 years I only had ONE (yes, ONE) day off. Having investors in the company put HUGE amount of pressure on me. As a CEO and a person that "makes it happen" I was doing everything - from fundraising, pitching, lead generation and sales. And the sales were NOT going well. To be honest - we had NO sales. We were in the B2B space, and everybody had an opinion about how we should get clients and what will "definitely" work. At that point, I tried everything you can imagine - all the lead generation strategies everyone told me SURELY will work, FB Ads, cold calling, cold e-mailing, SEO, content marketing - you name it - but nothing was working. We weren't able to get clients, my startup was failing and the investors were concerned about getting their money back. It was a nightmare to run a business like that. I was desperate. Someone mentioned LinkedIn, that "boring resume site" to me, and I though I would give it a try since I had nothing left to lose. I realised our potential clients were all there (NOT Facebook, NOT Instagram or Twitter), so I started to connect with them there and focused on building relationships and writing really good content. We made almost $50,000 of annual recurring revenue in about a year just with the LinkedIn strategies I tried out, without spending any money on ads. While that might not seem like a lot of money, making 5-figures of ARR in the healthcare space, as a startup and with no marketing budget in just now year was a HUGE success. It was crazy how well LinkedIn worked for us. We built our list to over 2,000 high-quality subscribers in a year, found interesting partners and most importantly - made sales and developed a stable revenue stream for our startup. 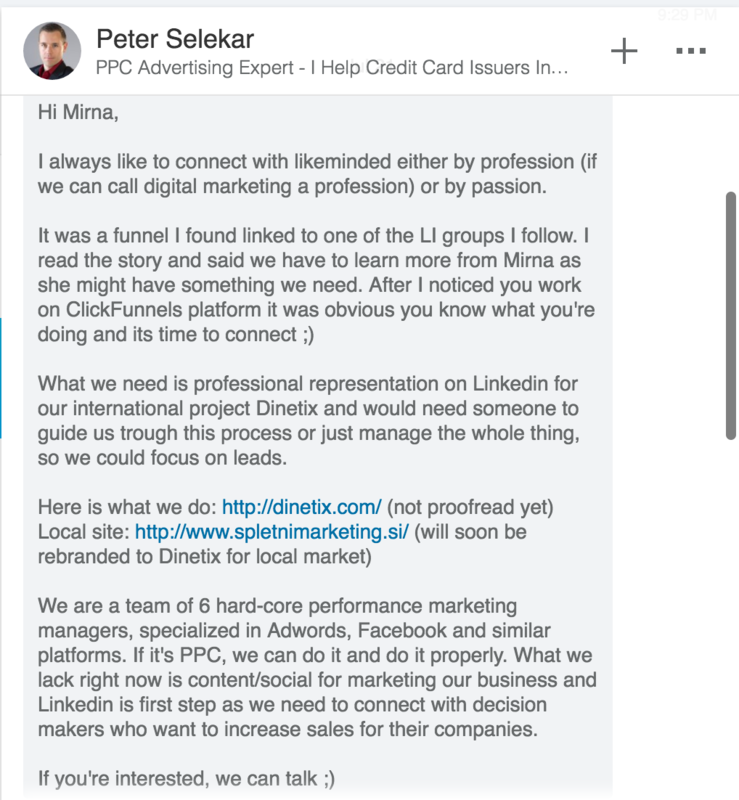 This is when I realised LinkedIn is the best platform for B2B businesses, whether you are looking for high-end consulting clients, high-paying business clients or just corporate clients. Fast forward to the beginning of 2016. All this work and pressure took it's toll on me. I realised I was miserable working as a CEO of a software company, and I decided to walk away from my startup. That was probably one of the hardest decisions I ever made in my life. Again, I was starting from nothing. I was in debt with no idea what to do. 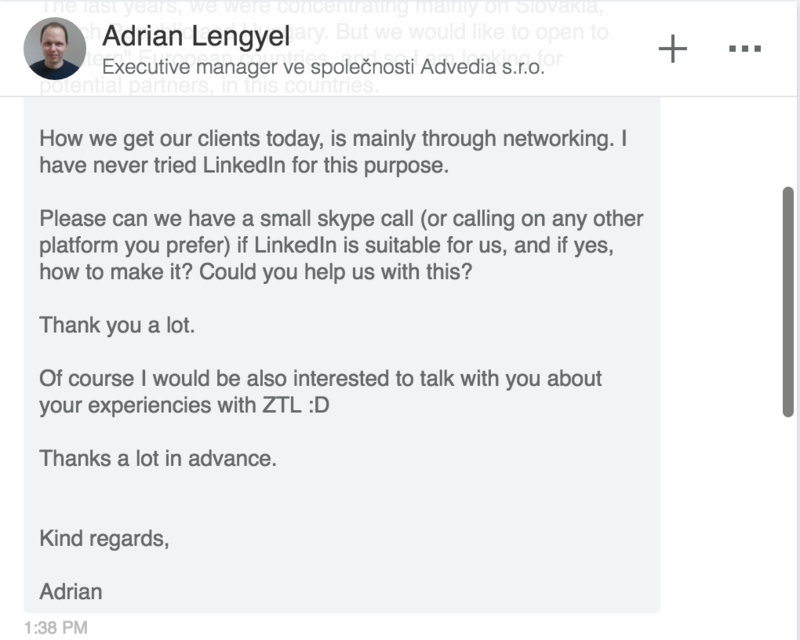 Then, I decided to use LinkedIn to get high-end clients for my second business and teach them how to use LinkedIn to find, attract and convert high-quality leads to clients. 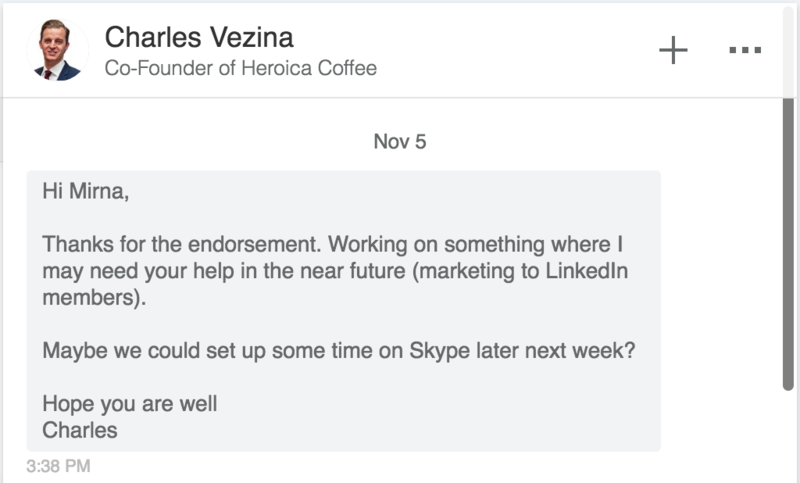 Basically, I knew how to use LinkedIn to attract clients, so I tried out strategies in my startup that I knew worked, and decided to use LinkedIn to get high-end clients for my second business. I created an online course to teach people how to use LinkedIn to find and attract quality leads, and then convert them to high-end clients - which was EXACTLY what I was doing with my consulting business. Within just 2.5 months after opening my Linkedin consulting business I got my first high-end coaching client. The result of using LinkedIn for my business? Since I've started my LinkedIn consulting buiness I've made six figures with LinkedIn every single year while growing fast - and in my first year I made $59,479.21 just with my LinkedIn Profile. There you are. The 'proof' you've been waiting for. I learned and confirmed what I already knew - your Linkedin Profile is the most powerful asset you can have in your business if you are in the B2B space or looking for high-end or corporate clients. As a direct result of the right strategy, positioning and optimisation of my LinkedIn Profile, alongside with the knowledge and understanding how to find, attract and convert my LinkedIn Profile visitors to high-end clients - I made $59,479.21 in a year as a LinkedIn consultant in my second business just with my LinkedIn Profile. I've been able to get high-quality leads to ask ME about MY services, instead the other way around...and then convert them to high-paying, coaching clients! 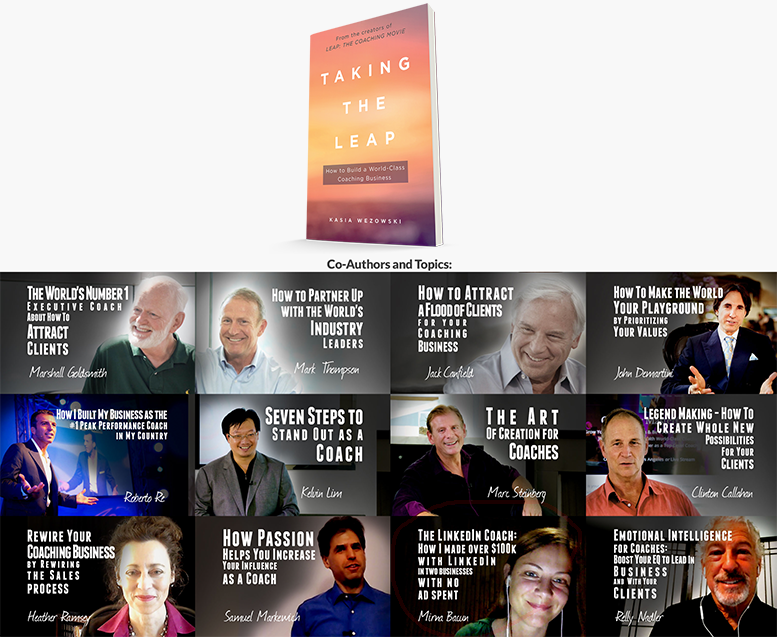 Also, I'll be published as a co-author with the coaching super-stars like Jack Canfield, Marshall Goldsmith and Mark Thompson in a book "Taking The Leap" that's coming out at end of 2017! It seems crazy, but LinkedIn and my LinkedIn profile made all of that happen for me. Do you want to get where I am? Do you want a stabile and profitable income stream for your established business? Do you want to be able to sell your high-end services to the right people, on constant basis? Do you want to finally talk to serious business owners, that are ablate see the value of your offer and are ready to pay what it takes? 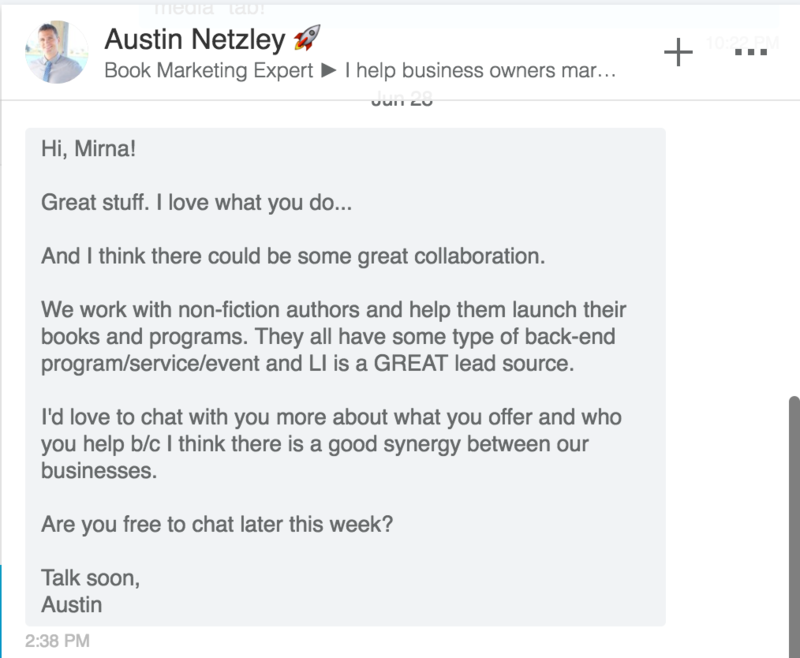 And...do you finally want to learn how to use LinkedIn to target the right quality leads and then convert them to high-end clients? If the answer is yes - AWESOME. I'd like to help you get there. 1. You can jump right into my 5-Day LinkedIn Challenge and start crushing it with LinkedIn in just 5 days. This is the quickest way for you to get understanding and results with LinkedIn in the shortest time possible. 2. You can ﻿﻿﻿join my Facebook group, and get into a community of successful business owners like yourself where I'll go over LinkedIn strategies on weekly basis, answer questions and help you see the HUGE potential of using LinkedIn for your business.